Folly is a state of mind. An eclectic mix. The closest beach to Charleston, the fastest way to dip your toes in the surf (especially now with the new James Island Connector). It’s also an island unto itself. Here you’ll find McKelvin’s Surf Shop, the stuff of local legend. The washout. The old “Holliday Inn.” Funky cafes and places to hang out. The 1,045-foot fishing pier where folks come to meet and greet, birdwatch and people-watch. Oh yeah, and to fish. Like its name implies, Folly doesn’t take itself too seriously. It’s a place where artists feel at home. In fact, Folly has a way of bringing out the creativity in us all. 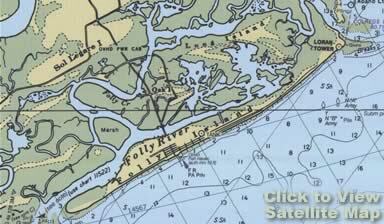 It also describes itself as “the edge of America.” It’s a barrier island that is situated just so, with wide vistas of the Atlantic and extensive marshlands, too. Views of the historic Morris Island lighthouse. Within shouting distance of Civil War battlesites. Folly Beach is a convergence of interesting people, breathtaking natural beauty, the old and the new… all mixed together into one very cool gumbo, ready for you to come taste and experience. Who knows? The perfect piece of Folly Beach real estate may just waiting to help make your dreams come true!